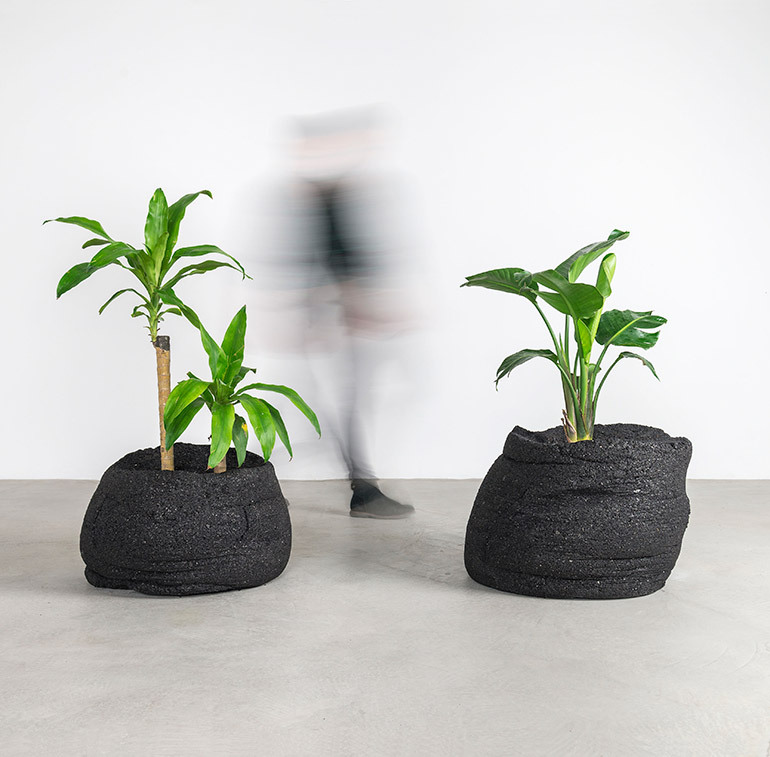 Coal Planters by Fernando Mastrangelo x Boyd Holbrook. Charity: Leonardo DiCaprio Foundation. Photography by Cary Whittaker. The liminal areas between creative fields are a constant source of inspiration for Monica Khemsurov and Jill Singer, founders of . 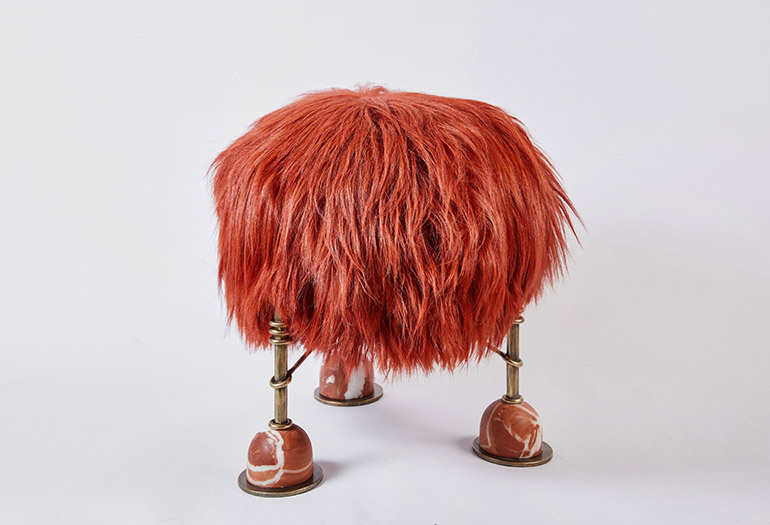 So for Sight Unseen OFFSITE’s flagship exhibition during NYCxDESIGN 2018, called “Field Studies,” the duo paired 13 furniture and interior designers with creatives from such fields as food, fashion, film, art, and music. The prompt? Design a functional object together. “The idea was to connect creatives across disciplinary boundaries so they could work outside their comfort zones, search for commonalities in their practices, and discover what interesting, unexpected ideas might result,” said the founders in a statement. Each design duo masterminded objects ranging from sconce lighting and lounge chairs to wall-mounted mirrors. Showcased at Sight Unseen’s 201 Mulberry Street hub in New York from May 17-20, each object is available for purchase on with net proceeds going to a charity of each pair’s choosing. 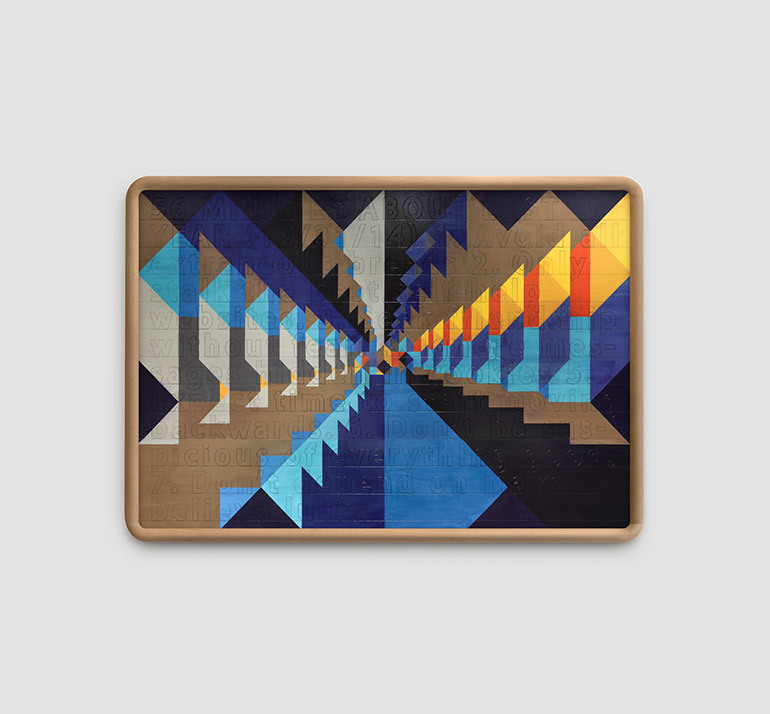 Atlas Mirror by x Seth Rogen in mirrored glass, enamel paint, and walnut. Charity: Hilarity for Charity. Photography by Josh Gaddy. 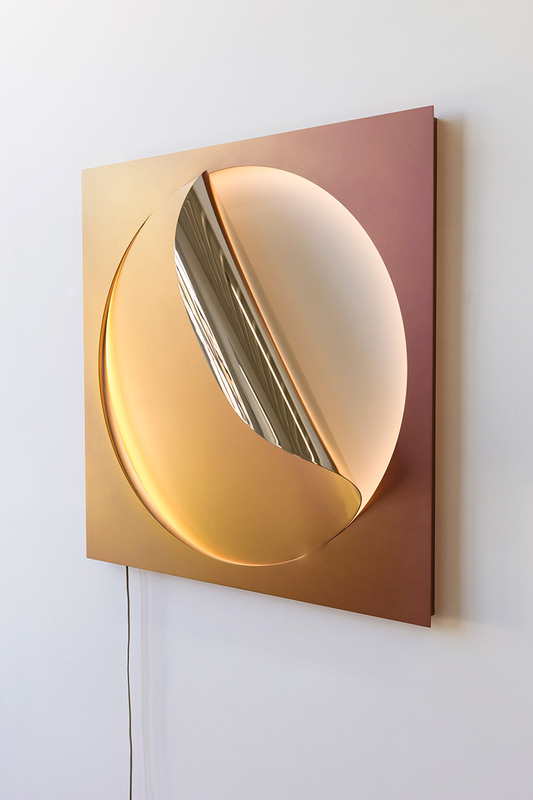 Oracle Sconce by x Julia Dault in mirrored polished bronze. Charity: Center for Reproductive Rights and Greenpeace. Photography by Jessica Uçul. 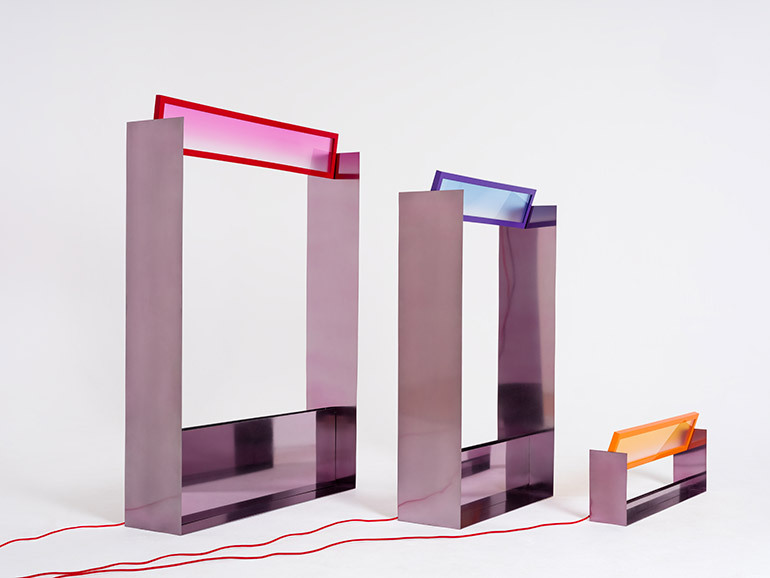 Liquid Collusion light sculpture by x Liam Gillick in steel and plexiglass. Charity: Naked Heart Foundation. Photography by Mikhail Loskutov. HW10 Valet by x Natasha Royt in brass, leather, and marble. Charity: Planned Parenthood. Photography by Josh Gaddy. 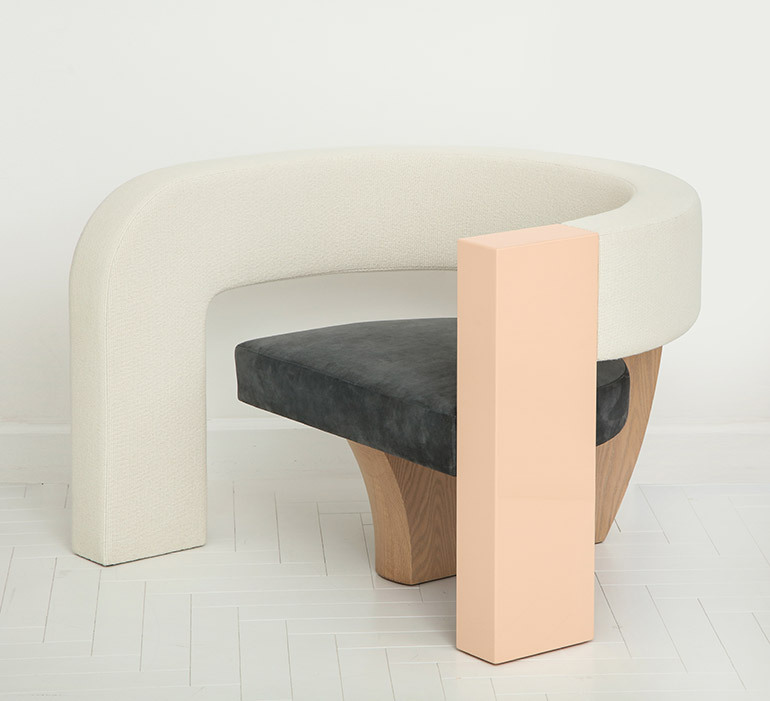 PnKrck Armchair by Kelly Behun x Narciso Rodriguez in linen suede and lacquered oak. Charity: Aid for AIDS. Photography by Josh Gaddy. 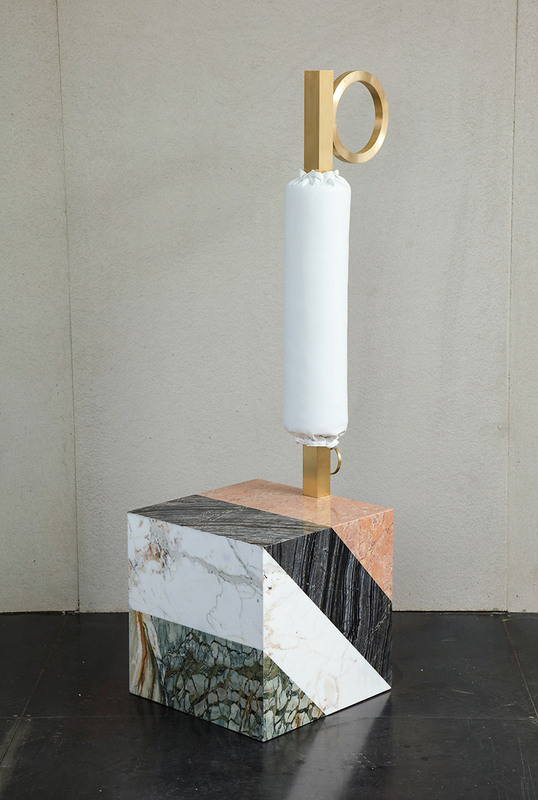 Rebelle Ottoman by Kelly Wearstler x Aimee Song in brass, goat hair, and marble. Charity: A Sense of Home. Photography by Dan Arnold. 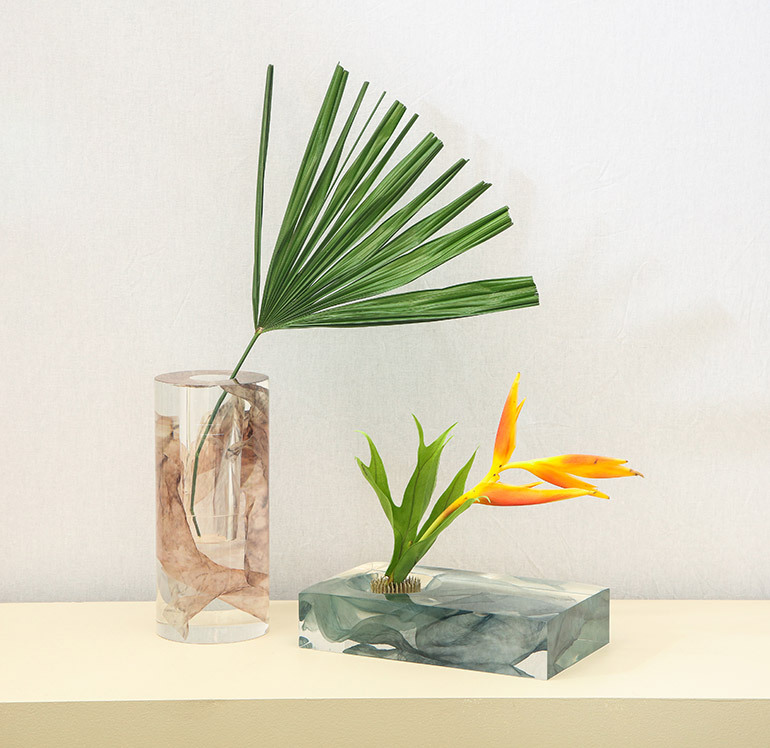 Sap Tall & Ikebana Vases by x Kaarem in silk and resin. Charity: Aid to Children Without Parents. Photography by Josh Gaddy. 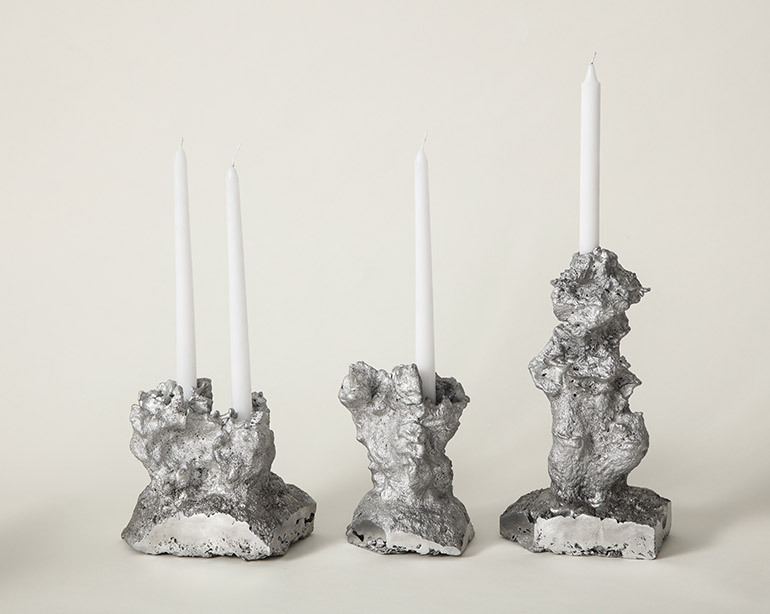 Architecture of Song candleholders by x Angel Olsen in aluminum. Charity: Save the Music Foundation. Photography by Josh Gaddy. 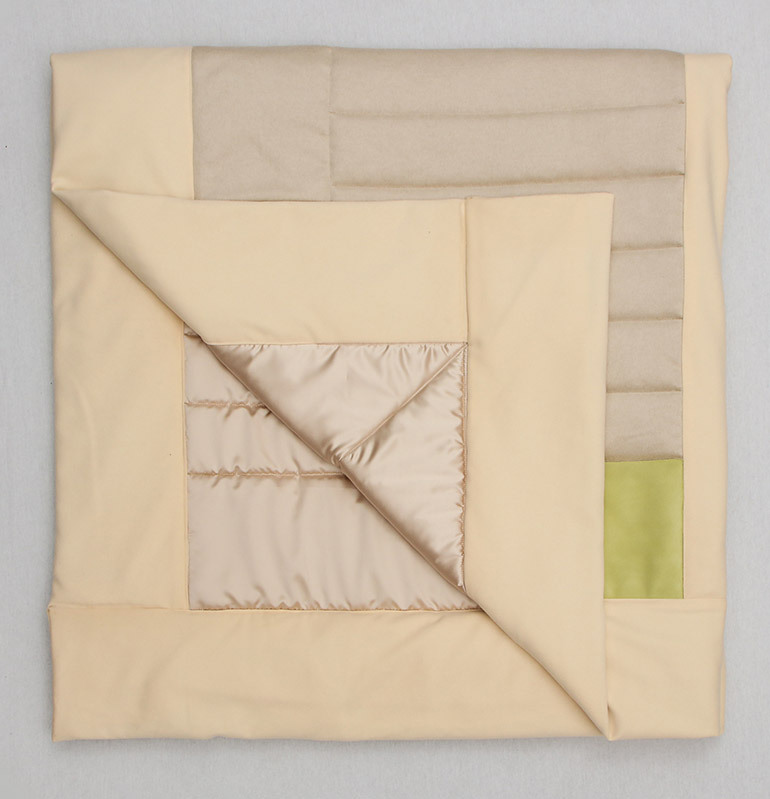 Three Quilt Collection by x Mel Ottenberg in brushed wool, silk, and suede. Charity: The Center. Photography by Josh Gaddy. Four Minutes Less Than an Hour by x Andreu Kuo in wood, oak, and paint. Charity: Big Brothers Big Sisters of New York City. 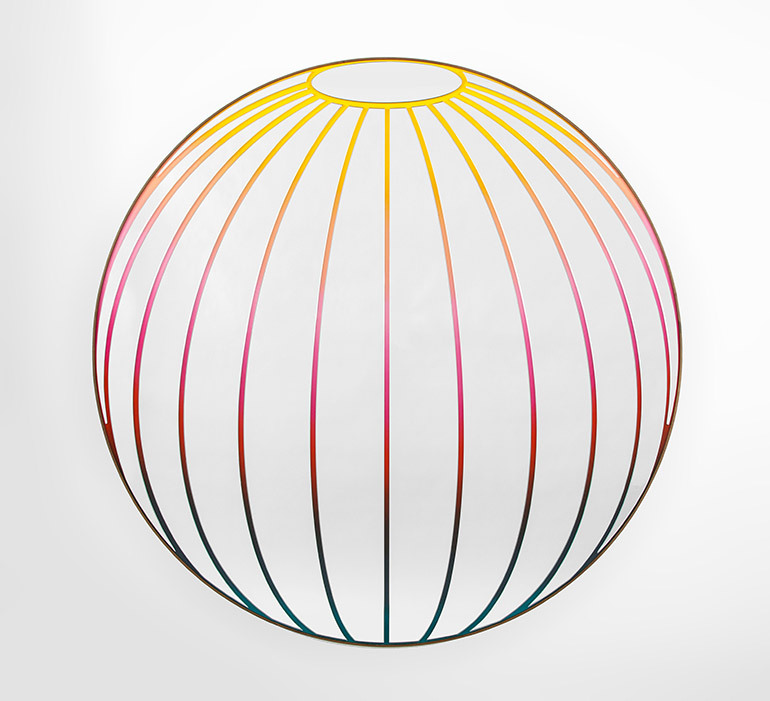 Photography courtesy of Sight Unseen. 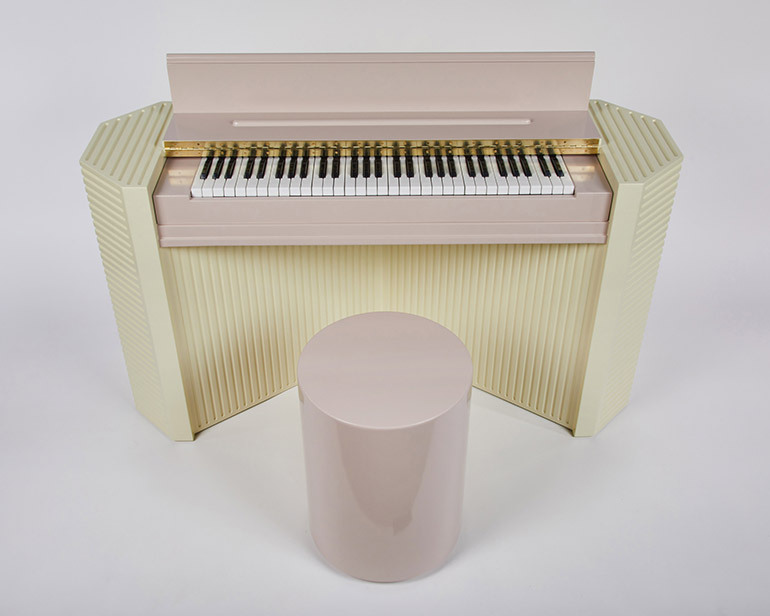 Marzipan Pianette by x Jason Schwartzman in plywood and maple. Charity: Safe Place for Youth. Photography by Dan Arnold. Check out our interactive map of highlights and must-sees from NYCxDESIGN 2018.